The merits of any household tool are mostly appreciated only after its failure. Every household master knows that. Due to a variety of tool in the household arsenal, most people simply do not know how to perform a certain operation without it. This is especially true for a circular saw. The reason is that a circular saw is essential for wood ripping and can’t be replaced with any hand tool. A usual hand saw is not capable of such ripping. Therefore, when a circular saw fails for some reason, the whole cutting process stops and you must urgently do something. 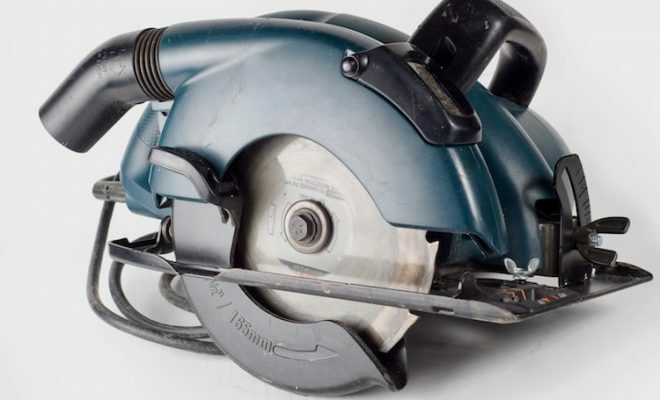 But do not rush to look for a circular saw repair service, as we are going to tell you how to fix a circular saw on your own. First of all, try to determine a malfunction. We mean not a specific node, but a type of failure. It can be mechanical or in the electrical part of the saw. In other words, if your saw is smoking is one thing, and if it makes some strange noise or whistle – another. These two criteria are the main ones for the failure localization. There is also a third type when a saw does not make any noise. And we shall start with it. Ironically, the fact that a saw is silent can be a good sign. Here, we should mention the failures usually printed on the last page of a saw manual. They seem ridiculous at first glance but show a little respect for them. Check if there is voltage in the outlet and if the power cord is working properly. If everything is fine, then there is only one chance to avoid full disassembly – check brushes. With most circulars, you must unscrew two bolts to get to brushes. This node is two carbon elements against the collector. Since it constantly rotates, the brushes are prone to wear and eventually “stall”, i.e. do not reach it. This is what you should examine first. In addition, carbon brushes are connected to the stator terminals. The contact sometimes is lost here. Check this. If everything is fine, disassembly is next. Disassembly is a quite complex operation itself. Every circular saw has its own mechanism and there are no precise recommendations. You can figure this out on your own. But let’s see in detail what to disassemble first. A common failure, regardless of the brand, is the switch button failure. It is located in the handle of all circular saws and divided into two parts when untwisted. It can’t be divided into two completely as it is attached to other parts, but you still will be able to reach the button, even though this may be not so easy. Check with tester’s probes if the switch is working properly. If it turns out to be faulty, the circular saw repair is finished. However, to put a new one instead, the saw must be disassembled completely. But if the button is working, you still have to do it. Take off the disc. Now you can remove the protection, so you do it. There are 4 long bolts under it, untwist them. The sequence and number of parts can be slightly different, but you must hold an engine with a reducer, a handle and an electric cord in the end. Disconnect the reducer and now it’s time to recall how the failure manifested itself. Mechanical failures may have different symptoms, but they almost always include a strange noise, such as whistling, scraping or clicking. Now, while the engine and gearbox are still disassembled, you must decide which of them has failed. Try to rotate the engine with the shaft. It should rotate a little heavily, but evenly, it must not be wedging. If the engine shaft does not rotate or rotates with jerks, it is the engine that has failed. Disassemble it and check the bearings. The first bearing is in the engine casing, the second one is on its rotor. You can be certain that one of them is to blame. It is better if it is the first bearing as it is quite easy to replace. If the bearing at the engine rotor has failed, you can safely take it for repair. You can’t take it off without a special device. Moreover, any attempt to do so may damage ta rotor. You must take not the whole saw for repair, but only the rotor. This is easier and cheaper. The most common gear malfunction is the wear of gear cogs. In this case, the gear must be replaced. You must also check the rotor’s slits. They should not be damaged as well. These failures are the most common ones. There may be sudden sparking in the brush area while cutting. There may be smoke and smell of burning. Such damages may be quite difficult to diagnose. Let’s start with the simplest and the most expensive one. You disassembled an engine and see both the rotor and stator smudged. Everything is clear then. Both of them must be replaced. This solution is expensive, but the probability of mistake is excluded. It is worse if a stator is smudged, but a rotor looks like new. 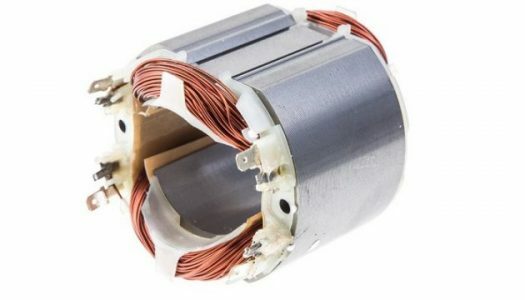 This seems simple at first glance – a stator must be replaced. Not necessary. A rotor can be also faulty but be “cut off”. Moreover, it maybe it that caused a more serious breakdown. Determining its malfunction, in this case, is quite simple. Disconnect stator terminals from brushes. Attach the tester’s leads instead, there must be a small resistance. Slowly rotate the engine shaft and if the resistance increases at some moment, the rotor failed. And the last and the most difficult case is when everything looks fine. 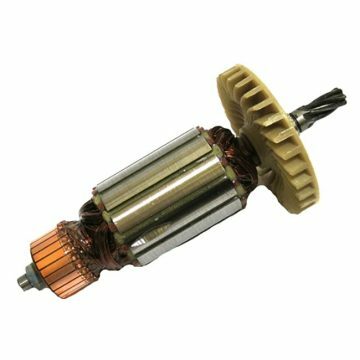 Even if you use the method described above, there is no guarantee that a rotor is functioning properly. However, if the measurer shows a break, you can try replacing it. But usually, it is better to contact the master in this case. You can not do without special tools here. 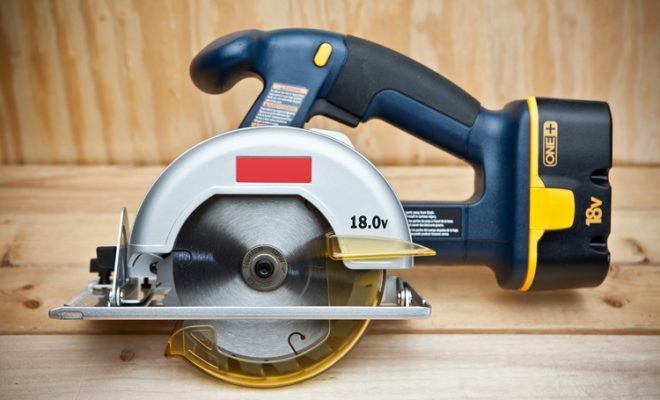 A circular saw is usually purchased with a certain purpose. But people do not always check if the saw is intended for that. Because professional circular saws are designed for long operation and some saws can work only 3 hours a day including breaks. Of course, if you use such saw without a break all day long, it will definitely burn out. 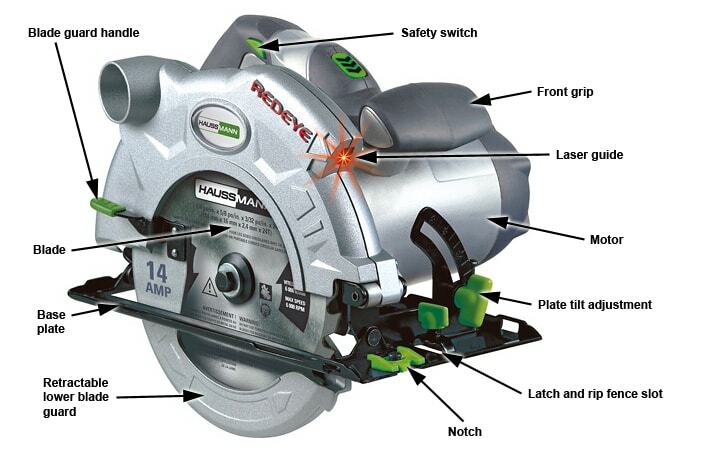 After all, no manufacturer hides what mode of operation is provided for this saw. The thing is that nobody usually cares about this. Moreover, after buying a saw and finding out that the disk is tungsten-carbide tipped, many people think that it should not be sharpened. The result is the smoking engine. Even such disk gets dull over time. 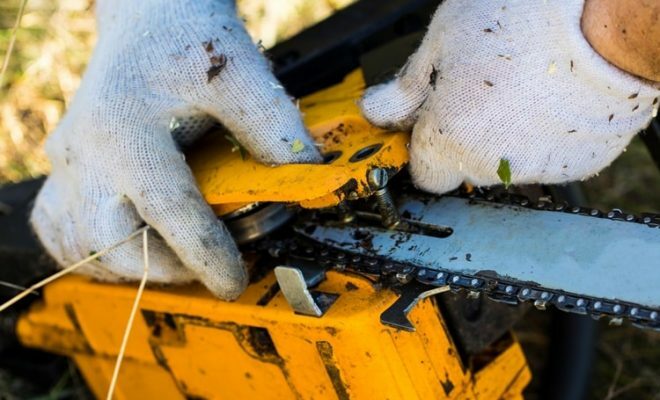 The saw efficiency drops sharply, but you demand the same results from it as before. And it gets broken. 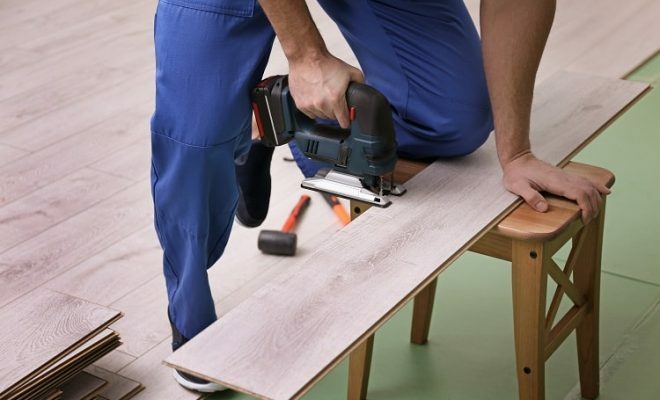 So, before actively using a circular saw, read its manual and consult with specialists. The same applies to chainsaws and other tools. Maybe, there will be no need for repairs then. 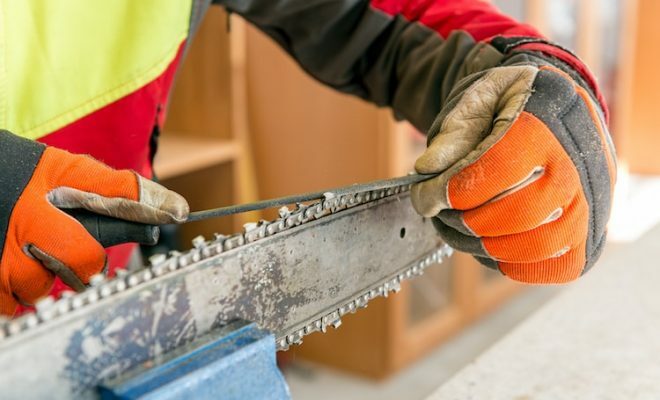 ALL ABOUT SAWS AND WOODWORKING is a useful online resource for beginners and experienced DIY-ers. COPYRIGHT © 2018 · ALLABOUTSAWS.COM, ALL RIGHTS RESERVED.